What follows is an excerpt from Larry Weintraub’s April Fool’s Day post to his Smart Marketing Blog that highlights some of the best pranks we’ve seen thus far. What other ones have you found? April Fool’s Day is like Christmas on the Internet. You wake up early and excited; ready to unwrap presents in the form of numerous pranks on websites. The best present is always Google. You can always count on them to apply great minds to give you an in depth April Fools stunt that makes you ask, “is this real?” Today was no letdown. 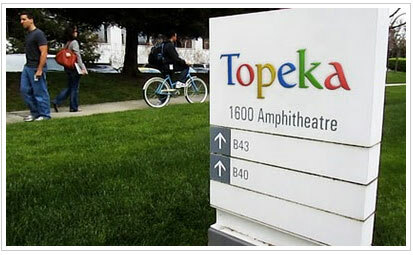 Google was officially renamed Topeka in response to Topeka’s recently renaming of their town, Google. 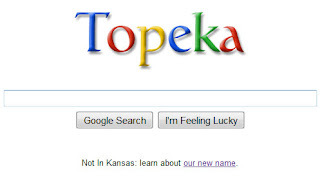 Click on the word Topeka and it takes you to a story about why Google changed it’s name. Complete with pictures, deep links into a continuation of the story and even some great graphics on how to use Topeka in a sentence. Next up is Funny or Die who today renamed themselves Bieber or Die after the kid sensation that has the number one album in the country this week, Justin Bieber. Very well done. I recommend you watch some of the videos, they are very funny. Of course, make sure you ask your kids who Justin Bieber is first or else it will be completely lost on you. Click HERE to read the rest of Larry’s post.